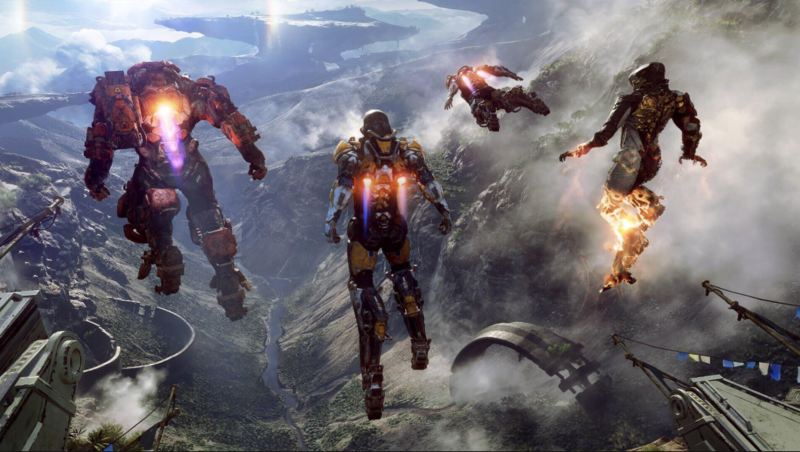 With BioWare's next big game,Anthem, almost here, the developer has shared even more details on what to expect from the game. Anthem is a multiplayer-focused title, and the good news for those who don't have anyone to play with is that there will be matchmaking support for "every activity" in the entire game. Lead producer Ben Irving said on Twitter that "there is matchmaking for every activity in the game." Matchmaking is on by default, but players can opt out,Irving clarified. "We think it's more fun in a full group,"
The game has underwater exploration. PlayStation Plus or Xbox Live Gold are required for online play. "Most" of the game can be played solo, but not all of it. Beta progress does carry forward. A "VIP" demo for Anthem runs January 25-27, and you need to pre-order Anthem or be a subscriber of either EA Access or Origin Access to get in. Everyone can try Anthem through a demo that launches the following week, running February 1-3. Anthem launches for Xbox One, PS4, and PC on February 22, 2019. I did preorder it for PS4, any1 up to for some co-op? If anyone wants to see this game in TAW. Fill out the vg interest form.